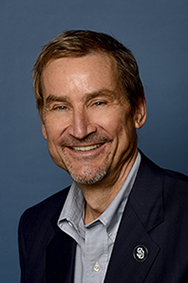 San Diego, CA – Peter Seidler, General Partner of the San Diego Padres, will be the keynote speaker at the May 19 Southern California Commencement of National University. Seidler, a leader in the San Diego community whose philanthropic efforts focus on helping the most vulnerable segments of the homeless population, will address approximately 20,000 attendees including graduates, their families and guests at Petco Park, which is the home of the Padres. Seidler, founder and Managing Partner of Seidler Equity Partners (“SEP”), a family-oriented private equity fund, sits on the Major League Baseball’s Ownership Committee and Investment Committee. His efforts to reduce homelessness in San Diego resulted in recognition as the 2017 San Diego Public Official of the Year by the Building Owners and Managers Association, the 2017 San Diego Nice Guy of the Year, the National Conflict Resolution Center 30th Annual Peacemaker Award (2018) and the 2018 San Diego Chamber of Commerce Award for Regional Collaboration. As a two-time cancer survivor (Non-Hodgkin’s Lymphoma), Seidler’s philanthropic activities also include the American Cancer Society, the San Diego Chapter of the Juvenile Diabetes Research Foundation, The Turning Point Home, and various health and wellness initiatives at the Mayo Clinic in Rochester, Minn.
National University, which is among the largest private, nonprofit universities in California, is the exclusive higher education partner of the San Diego Padres. The organizations share a firm commitment to the San Diego community and collaborate on several events and academic scholarships throughout the year. The Padres organization and its owners remain dedicated to making positive, sustainable contributions throughout the San Diego community. The partnership with National University highlights this commitment with events such as Teacher Appreciation Night, which celebrates exceptional teaching by recognizing San Diego County District Teachers of the Year. The University is ranked fifth nationally in granting master’s degrees in education to minority students, and it recommends more teachers for credentials than any other university in the state. Also, Military Appreciation Day at Petco Park honors the military community and awards scholarships to military students in recognition of their hard work. National University, which is the anchor university of the National University System, serves a diverse student population, and about 25 percent of its students are from the military community. The Southern California Commencement is set to begin at 2 p.m. on Saturday, May 19.